The most momentous event in the history of mankind is the establishment of God's Kingdom on the earth. 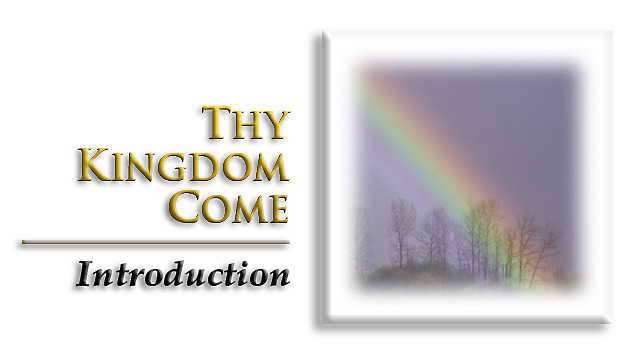 Any, therefore, who have themselves uttered those profoundly significant words, "Thy kingdom come, thy will be done on earth as it is in heaven..." must be gripped by the most avid interest in the events leading to the fulfillment of this prayer. * the time and meaning of "the Harvest"
In addition, Thy Kingdom Come examines the testimony of God's silent stone witness...the Great Pyramid of Gizeh, revealing its harmonious confirmation of the accuracy of Bible chronology and time prophecies.